On February 11, 2015 the U.S. Department of Health and Human Services, the Food and Drug Administration, and the Center for Drug Evaluation and Research issued a draft guidance that would allow the reduction of harmful drinking to be considered a successful outcome in clinical trials. The FDA is considering a change that would allow medications for alcohol use disorder to be tested and approved even if abstinence is not the end result. The draft guidance for industry will be open for comment for 60 days. The C Three Foundation will, of course, submit a formal written comment of support, but we also wanted to share with you (a little less formally) the potential impact this guidance could have if it is approved. The FDA is issuing this draft guidance because they believe there should be “possible alternatives to abstinence-based endpoints, which have often been considered an unattainable threshold in a clinical setting, and which may be considered a hindrance to clinical development for drugs to treat alcoholism.” Keep in mind, a guidance is only a suggestion even if it is accepted, but suggestions from the FDA are still a great place to begin. One of the first points the draft guidance makes is that in diagnosing alcoholism behavior is a key identifier–specifically excessive drinking behavior. The goal of most treatments is not only to change the harmful behavior, but also to improve the life of the individual on a physical and/or psychosocial level. The FDA is suggesting that medications tested for alcohol use disorder should focus on reducing the drinking behavior below harmful levels. So what does all that mean for TSM and the C Three Foundation? First of all, it means it will (eventually) become easier to chip away at the misconception that drinking anything at all in recovery is the equivalent of a relapse. Taking a nal, waiting an hour, and then having one beer or one glass of wine is not “falling off the wagon” and it’s nothing to be ashamed of! It also gives more credibility to every single person who has ever been helped by TSM because, in a way it’s the FDA’s way of validating TSM as a successful form of recovery for those who still like to enjoy a drink every now and then. This chipping away and validation go even further into a critical arena–stigma reduction. We see this draft guidance as reducing an enormous barrier that keeps millions of people from seeking help. Although at one point it was true, medications like naltrexone and nalmefene have turned “once an alcoholic, always an alcoholic” into nothing more than a destructive myth. People are literally dying because they want to avoid what has been perceived as a lifelong label. And by the time they seek help, many of them have had too many cards stacked against them to recover without the help of medication. With the passage of this draft, it will be easier to reach people who can’t imagine themselves alcohol-free for the rest of their lives. And they will be able to walk by a pub, or see an alcohol commercial, or sit down to a nice dinner with friends who drink without fear. 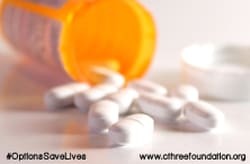 If you’ve ever been prescribed naltrexone in the U.S. you are aware it is labeled to be used with abstinence, even when nalmefene (Selincro), a similar drug available in Europe, is labeled for use an hour before drinking. When naltrexone was moving through clinical trials, funding was given specifically for use with abstinence-based trials. This led to abstinence-based labeling upon approval. Millions of dollars would have to have been spent to re-conduct the trials with a treatment model such as the Sinclair Method (TSM). The other two FDA-approved medications for treating alcohol use disorders are also labeled for abstinence: Antibuse because it makes you quite ill if you drink, and acamprosate, which works to reduce the withdrawal symptoms associated with giving up alcohol. If the FDA guidance is approved, additional drugs can be created and tested both to quit and to reduce drinking and they only need two “adequate and well-controlled trials” to show they are effective. We are sincerely hoping this guidance opens up an opportunity for naltrexone to be reevaluated not only for use with reduction of heavy drinking, but also for development as an over-the-counter medication. (Both naltrexone and Selincro are already available over the counter in Spain.) Over the course of more than 21 years, naltrexone has shown the best effectiveness at reducing drinking in those people who, in spite of being told to remain alcohol free, drank anyway. The side effects and drug interactions are well known and understood. More than two decades of science and use have shown it is safe and non habit-forming. It’s time to change the things we can no longer accept and it looks like, for once, the FDA just might agree with us.